Above, a postcard from a lady visiting Dallas in 1916, sent to her “dear friend” back home in Wilmette, Illinois. The card has a short, chirpy “hello, hope everyone’s well, be home in a couple of weeks” type of message on it. But there is no mention of the fact that the picture on the other side shows a water filtration plant. …A water filtration plant. Dallas was a big and impressive city in 1916, and there were a lot of beautiful postcards to choose from, so one wonders why she chose THIS one. I’m not even sure why there would be a picture postcard of a water filtration plant in the first place. Maybe to make municipal workers in other cities jealous. 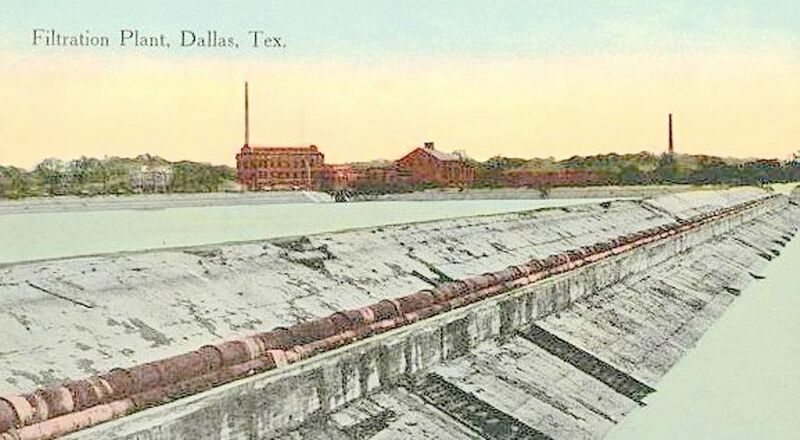 “Dallas has a magnificent state-of-of-the-art sedimentation basin, and you don’t!” But, actually, it’s kind of a cool postcard. This water filtration plant and pumping station was located along the Trinity (before the river’s course was changed), at what is now Oak Lawn and Harry Hines (now home to the Sammons Center for the Arts, a designated historic landmark which contains part of the old Turtle Creek Pump Station). A large-capacity water filtration plant is a necessary thing for the city to have, certainly, but it still doesn’t explain why Mrs. [Illegible] was sending a postcard of it to her friend in Illinois. Postcard of the filtration plant (wow, I’ve typed that a LOT today) from a site that sells postcards. It shows the reverse of the card with the hard-to-read message, here. 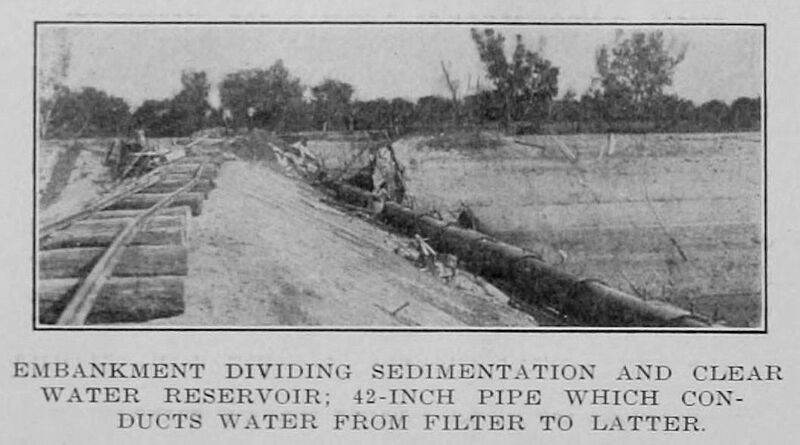 Photos of the filtration plant (…there it is again…) from the Oct. 23, 1913 issue of Municipal Journal, here. The entire article should be of interest to people who are interested in … this sort of thing. Even MORE about this plant, along with diagrams, photos, and an in-depth analysis on its operation, can be found in the July 16, 1914 issue of Engineering News, here. History page for the Sammons Center is here. 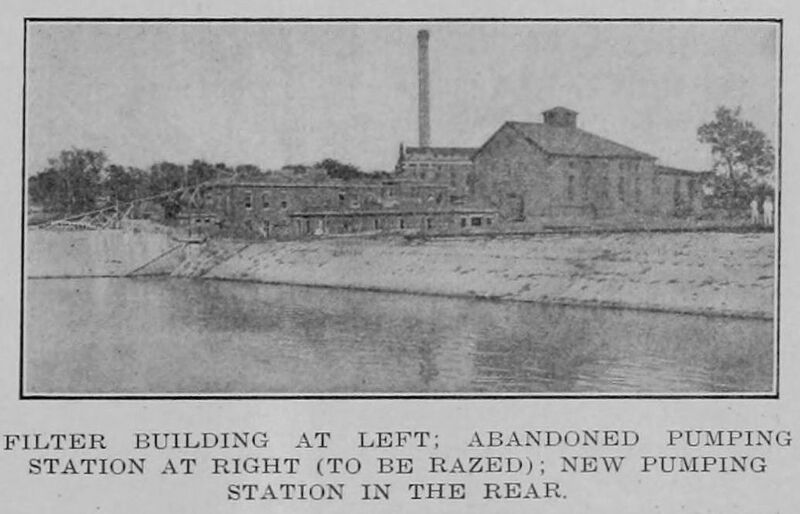 A couple of other early photos of the Turtle Creek Pump Station (from 1894 and 1908) can be seen in a previous post — “City Hospital, a Pump Station, and the County Jail — 1894” — here. 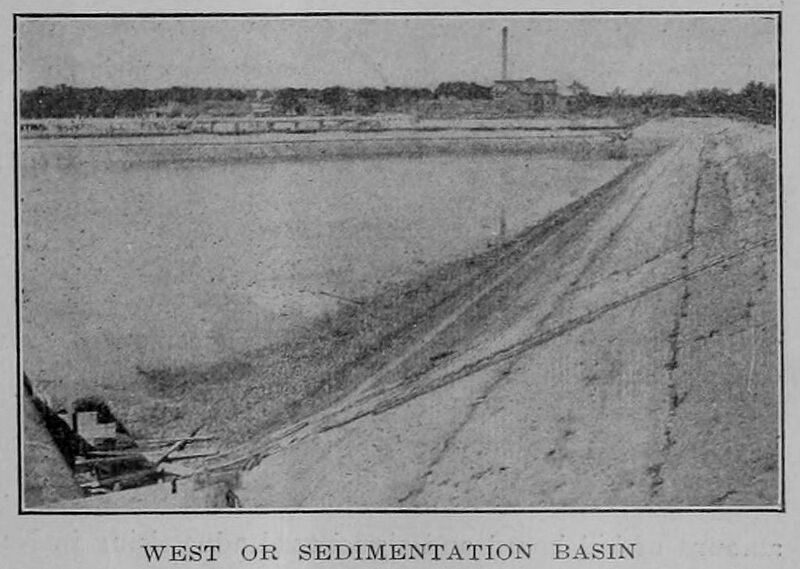 That sedimentation basin is where Dal-Hi (later P. C. Cobb) stdium was built. Thanks, Bob. For some reason I always think the stadium was on the east side of Harry Hines. My uncle had a vending truck in the fifties. I remember going on his route with him and the first stop was to buy coffee from a commercial company that had a sign with a steaming coffee pot on it. I don’t know if that is the same sign you are talking about. Hi, Bert. Jeanette would probably ask if you remember what part of town you were in — do you remember specifically where you saw it? If you (or anyone else) know the name of the company, I’m sure she’d appreciate it. Thanks!